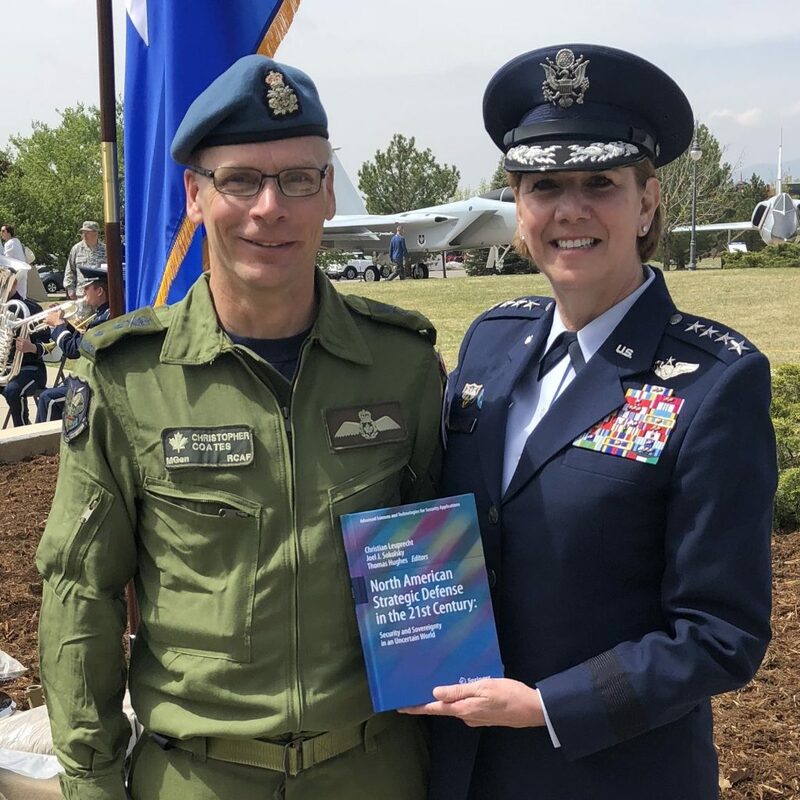 Caption: (Left) NORAD Director of Operations MGen Christopher Coates — soon to be promoted to NORAD Deputy — and NORAD and US NORTHCOM Commander and Gen Lori Robinson at NORAD’s 60th anniversary celebrations 11-12 May 2018 in Colorado Springs. 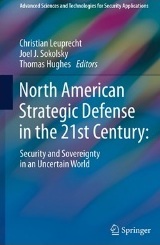 North American Strategic Defence in the 21st Century: Security and Sovereignty in an Uncertain World. Just published and edited by Class of 1965 Professor in Leadership Christian Leuprecht, Professor and former RMC Principal Joel Sokolsky, and Queen’s University graduate student Thomas Hughes, this is mentioned in this week’s edition of Maclean’s magazine and was featured recently at NORAD’s 60th anniversary celebrations 11-12 May 2018. The protection of the homeland is the top priority for U.S. and Canadian national security strategies. Strategic defense, however, has been an overlooked dimension in the vast literature on the U.S. and Canadian strategic posture, with even less attention given to the necessity and dynamics of security collaboration within North America. Drawing on the expertise of scholars from the U.S., Canada and Mexico, this book offers a wide range of perspectives on recent trends in, and future prospects for, the military and political evolution of North American strategic defense. Foreword by Gen (ret’d) Chuck Jacoby, CDR NORAD and US NORTHCOM (2011-2014) and Gen (ret’d) Tom Lawson, Chief of the Defence Staff, Canada (2012-2015) and Deputy CDR NORAD (2011-2012). Read the introductory chapter here.